The trend is your friend and so am I! That’s why I’m giving you not one, but TWO easy peasy setups on GBP/USD and GBP/CAD. Get ’em while they’re hot! First up is a nice and simple uptrend for Cable. The pair is about to hit the 1.3000 major psychological handle, which is right around an ascending channel support that hasn’t been broken since mid-December. Can the pound sustain its uptrend against the dollar? GBP/USD hasn’t quite reached the big 1.3000 yet, so y’all still have time to draw your trading plans if you believe that a retest of 1.3000 would lead to another bounce. Not feelin’ the love for the pound? That’s aight, you can also wait for the pair to see bearish momentum and trade a possible downside breakout. Whichever bias you choose to trade, make sure you’re flexin’ your risk management skills so you know you’ll still have an account to wake up to tomorrow! Or, you know, on Monday. Don’t look now, but GBP/CAD is about to hit the 1.7450 mark! Y’all should pay attention to the level because it’s juuust above the 200 SMA on the 4-hour time frame. Not only that, but it has literally served as support and resistance for GBP/CAD in the past. 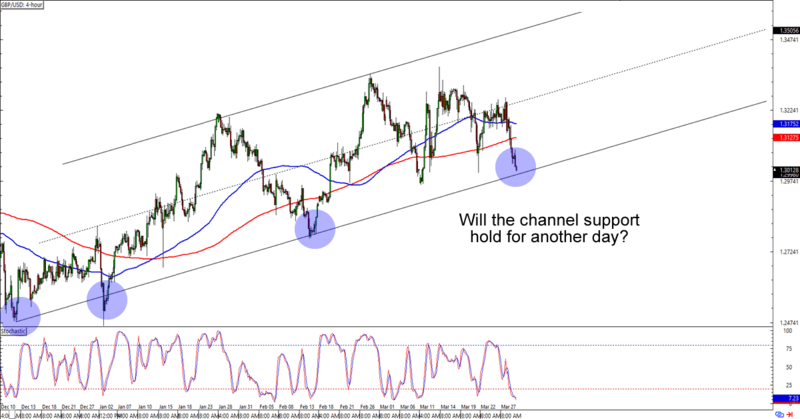 Will 1.7450 hold as support again today? Buying at current levels could still give you a good reward-to-risk ratio especially if the pair jumps back to the 1.7770 previous resistance area. 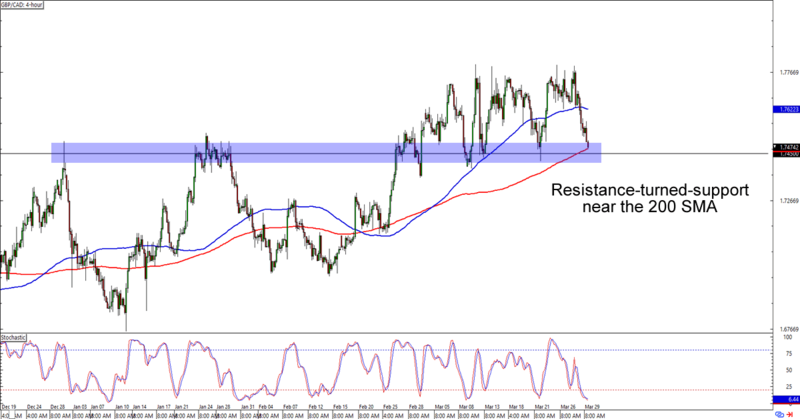 If GBP/CAD breaks below the 200 SMA, however, then you could also short the pair and aim for a move down to the 1.7250, 1.7150, and 1.7000 areas of interest.